DIY? Or hire a pro? Ask yourself these questions. If, like me, you have been watching the season marathons at the DIY&HG stations, you are probably looking around your place and wanting to make a few changes. (Unless, like me, you moved into a brand new custom-built place a year ago). And you may even have good ideas about what you want, and you’re feeling like maybe you can do it yourself. How do you know if you should tackle the job by yourself and when to hire a contractor? 1. Have you done it before? Yes, you helped your brother replace his toilet. Sure, you repainted your summer house. OK, you are good to go. You know the scope of the job and you’re prepared for a realistic amount of work and mess. 2. Do you have to buy or rent new tools to perform the task? If you’re putting in a new backsplash, for instance, scoring and clipping a few tiles to make that corner fit is something most handy homeowners can handle. Hiring a tile saw takes a little fix-it job to another step. Drilling a hole in concrete to hold a bolt is one thing, hiring a pneumatic drill is another. Got a compound mitre saw? It’s a pretty tricky thing to operate. There’s no hard-and-fast rule, but the more complex the tools, the more complex the job, and maybe it’s something you should leave to someone who has used those tools before. 3. How much mess can you live with? And for how long? I have friends who wanted a new ceiling ladder installed so they could have access to storage in their attic. It wasn’t a big job, so a friend of a friend with considerable home reno experience said he would do it. But he ran into problems. And instead of asking my friends if they wanted their contractor to handle the now-larger job, he took it upon himself to do it. Of course, he was working weekends and evenings, with the occasional afternoon work. Short story long, six weeks later the ladder is still waiting to be installed and there’s a big ugly hole in their back bedroom ceiling. When you DIY, you can be living with mess for weeks because the work is usually performed in someone’s spare time. 4. Does it matter if the job isn’t very well done? Not a crazy question. If you are having a complete kitchen reno in the next few years, just stick on some tiles on the floor and the walls and smarten the place up for a quick fix. A cute mural on a wall that will be repainted when the child is a few years older doesn’t need to be Disney-approved. A DIY slipcover on a sofa that will be tossed when your reno is done next year does not have to look perfect. 5. Does the pro who does the job need a license? 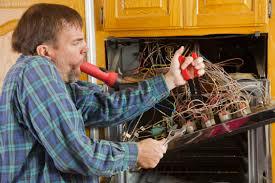 Never do your own wiring. Don’t do more than the simplest plumbing jobs yourself. You are not only jeopardizing the future value to your home, you could be risking your life. 6. How much will the job cost? For larger jobs, you might want to borrow some money. There’s a payoff to borrowing money for projects that will increase the value of your home (I’m talking about bathrooms and kitchens). Not many lenders will let you walk away with their cash unless you have a professional doing the job. 7. What will it look like? Even if you are making minor design changes, I recommend hiring a designer. Even after years of poring over design websites and magazines, I could never have found the creative solutions to our space problems that our designer did. Unless you are an architect or a designer you just don’t have the knowledge to provide the best results. Now we know whether or not we want to hire someone, I’ll have a few suggestions on finding the right person to help. Posted in Decorating, Housing, Laneway House, Minimalism and tagged Decor, Laneway House. Bookmark the permalink.